Process of rehabilitating structurally and functionally deteriorated sanitary sewer and storm drain pipelines using the cured-in-place pipe (CIPP) by using ultraviolet light curing. Cured in Place Pipe (CIPP) is widely used to rehabilitate existing sanitary sewer and storm drains. The use of CIPP seals off leaks caused by cracks, fractures, misaligned joints, roots and other problems that are evident in every sewer system. Additionally, the new CIPP adds structural integrity to the existing pipe, extending it useful life span. Cajenn installs the Saertex Ultra Violet (UV) light cured fiberglass CIPP system. Saertex offers Owners the assurance that the existing sewer is rehabilitated with the strongest materials available, in the most environmentally friendly process and with the most cost efficient return on investment. Although the Saertex UV Liner has a thinner wall than traditional felt CIPP, the physical strength of the liners far exceed that of traditional felt liners. The use of an inner foil and an outer foil greatly reduces the possibility of resin exposure to the environment. The resin sandwiched between the foils, guaranteeing that the correct amount of resin remains in the liner. Comparable in price to traditional CIPP, Saertex delivers a superior product for the same investment. Cured in Place Pipe (CIPP) is widely used to rehabilitate existing sanitary sewer and storm drains. The use of CIPP seals off leaks caused by cracks, fractures, misaligned joints, roots and other problems that are evident in every sewer system. Additionally, the new CIPP adds structural integrity to the existing pipe, extending it useful life span. Cajenn installs the Saertex Ultra Violet (UV) light cured fiberglass CIPP system. Saertex offers Owners the assurance that the existing sewer is rehabilitated with the strongest materials available, in the most environmentally friendly process and with the most cost efficient return on investment. Although the Saertex UV Liner has a thinner wall than traditional felt CIPP, the physical strength of the liners far exceed that of traditional felt liners. The use of an inner foil and an outer foil greatly reduces the possibility of resin exposure to the environment. The resin sandwiched between the foils, guaranteeing that the correct amount of resin remains in the liner. 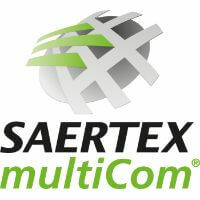 Comparable in price to traditional CIPP, Saertex delivers a superior product for the same investment.